Western connoisseurs who collected Chinese ceramics at the turn of the century knew relatively little about earlier wares. Since the meticulously formed and decorated Qing dynasty porcelains were generally regarded as the culminating achievement of a centuries-old tradition, it was assumed that the earlier wares must be more heavily potted and glazed. 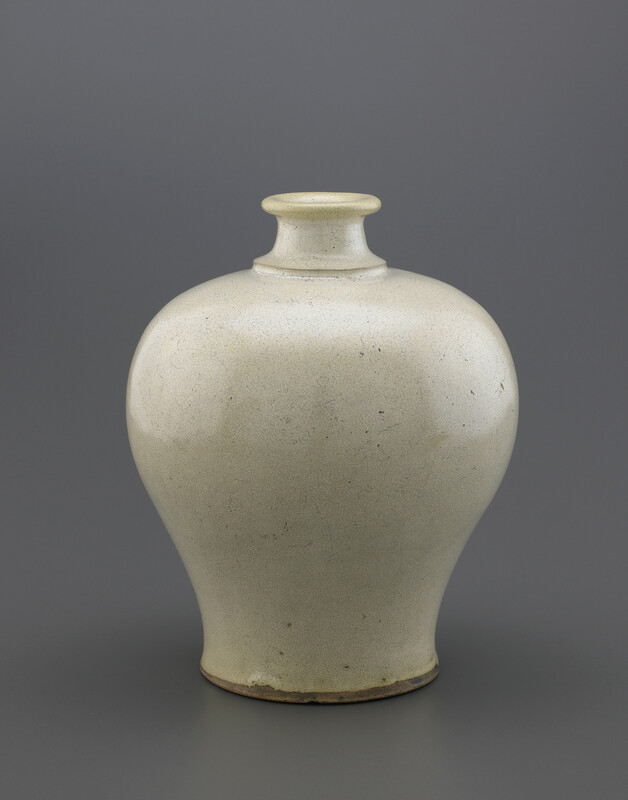 Thus, when Freer purchased this vase in 1896, he accepted the Song dynasty date assigned to it, though it is now known to be from the Ming dynasty. In the Peacock Room in Detroit, it was displayed along the south wall, amid more than forty bright blue Jun or "Jun style" ceramics. This lustrous, creamy white vase was one of several similarly toned vessels that Freer seems to have used on the south wall to punctuate the "harmonies in blue" created by the massing of Jun ware around the sideboard. "Vase," in The Peacock Room, Freer Gallery of Art, Smithsonian Institution, Accession No. F1896.35a-b, Item #3260, http://www.peacockroom.wayne.edu/items/show/3260 (accessed April 19, 2019).